I spent 7 weeks in Baja. The wind in La Ventana was the worst of the last 4yrs. It was kiteable a lot, but not overly strong and not as consistent as it has been previous 3yrs. Having said that my info is from Dec/Jan so it's anyone's guess what happens in Feb.
Topic: I need something for light winds. Please! Re: I need something for light winds. Please! Blade Fat Lady 17m kite and Airush Choptop 5'4" strapless surfboard. It can be lonely kiting with the Fat Lady! 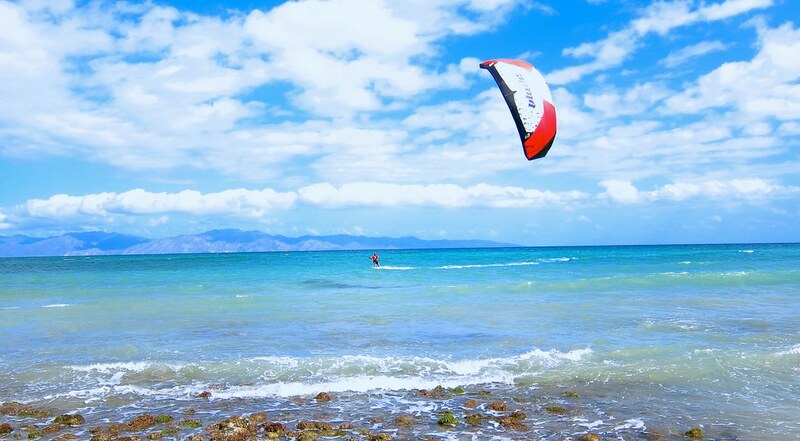 Topic: Equipment used for kiteboard-camping ? Re: Equipment used for kiteboard-camping ?